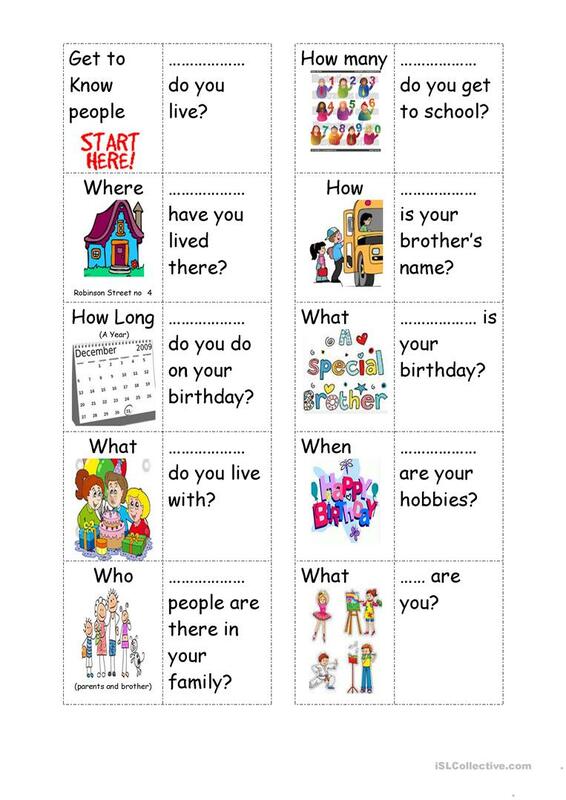 domino card game about some questions to get to know people. This printable, downloadable handout is meant for high school students, elementary school students and students with special educational needs, learning difficulties, e.g. dyslexia at Elementary (A1), Pre-intermediate (A2), Intermediate (B1) and Upper-intermediate (B2) level. 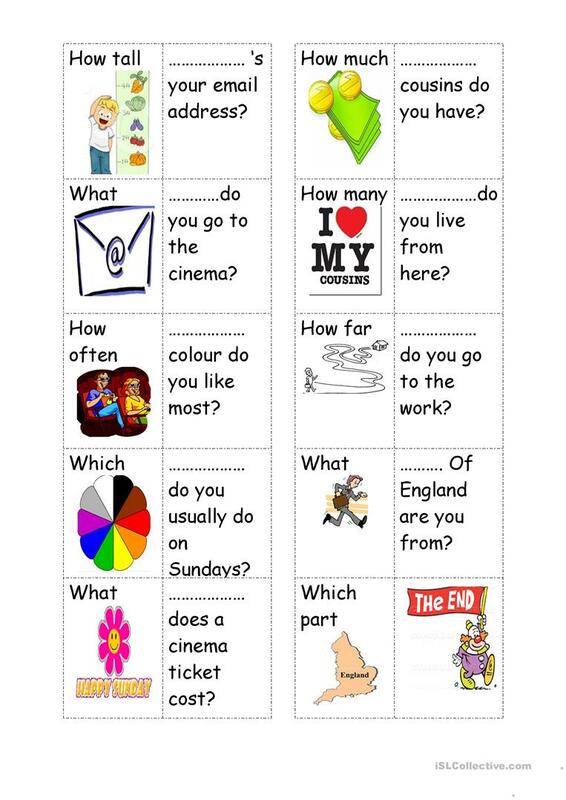 It is valuable for revising Questions in English, and is excellent for enhancing your students' Speaking skills.